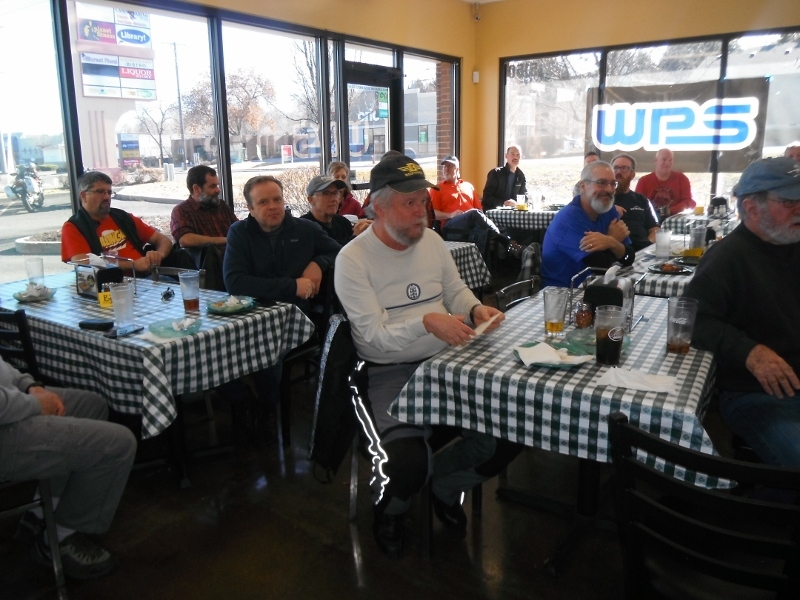 The Annual Club Meeting and Awards Lunch was held on Saturday January 26. 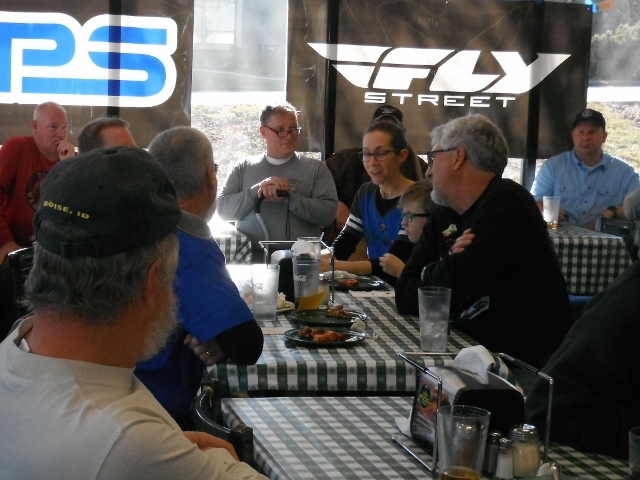 We had a great turnout of long time club members and a few new faces as well. 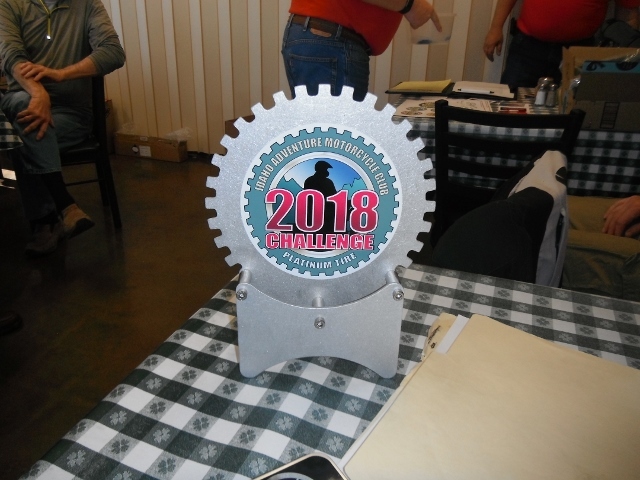 Tim Bernard of Happy Trails Products generously made trophies for our top level Challenge award winners. 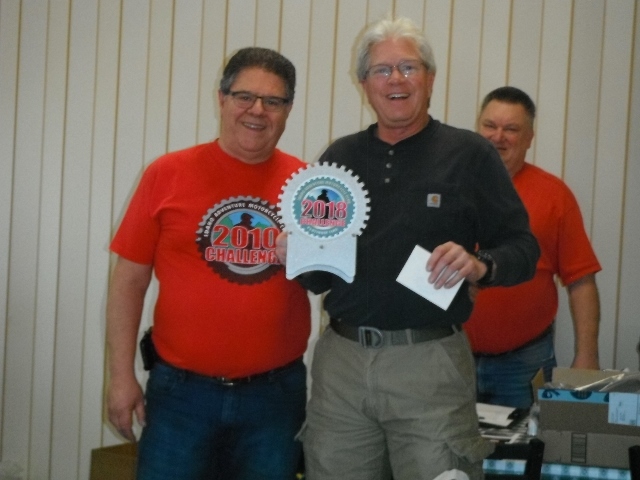 Tim presenting Doug Patchin with his Platinum level trophy. 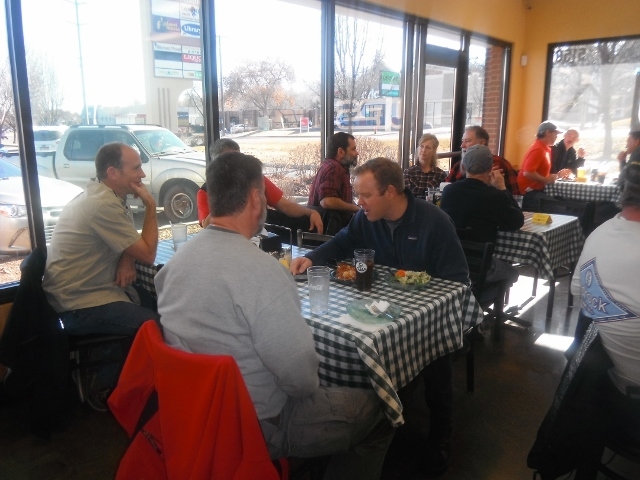 There were numerous donations from our sponsors. Happy Trails Products donated three sets of tires as well as several other items. Into the Horizon motorcycle Rentals donated two one day rental certificates. 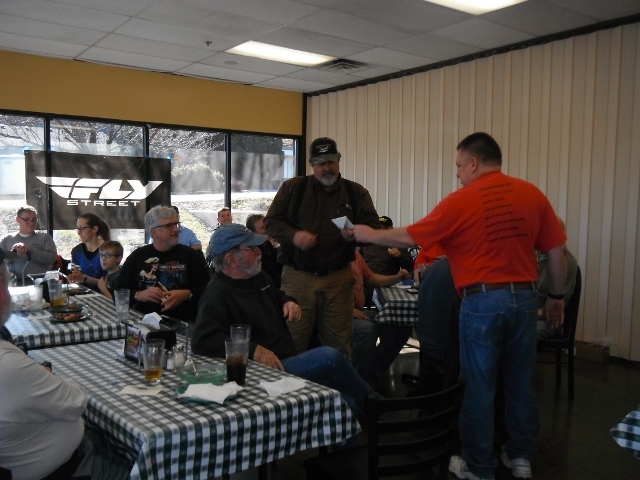 There were free tire changes, gift certificates and many other items given away as door prizes. 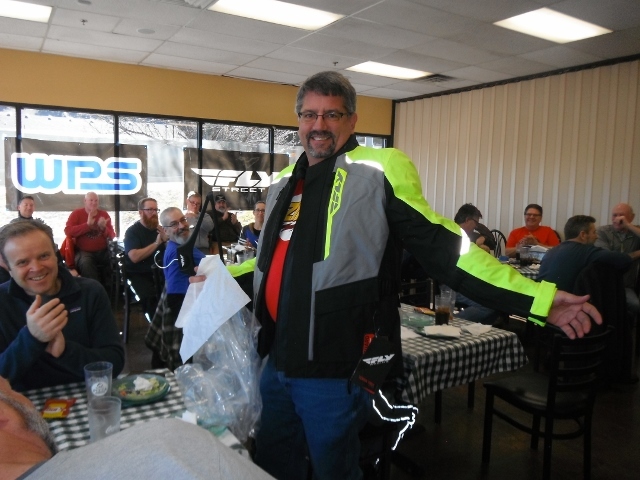 Below is Gary Umland modeling the new riding jacket from Happy Trails and Western Power Sports. I would also like to thank Chuck Scheer for all of his help throughout the year. Chuck is the graphics tallent behind all of the Challenge sticker artwork. 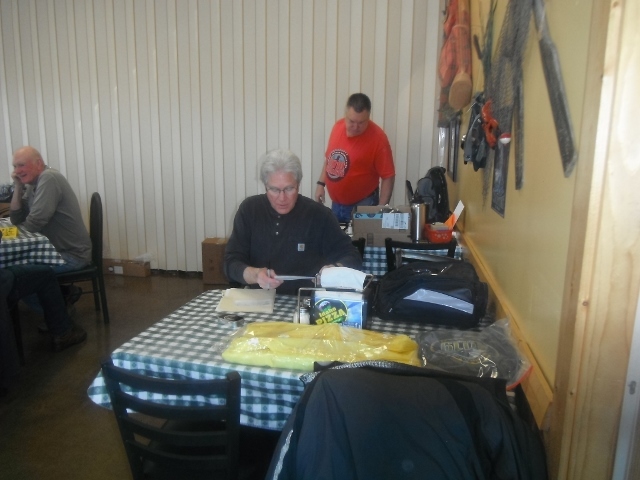 He also takes care of ordering bandanas and t-shirts. Thanks Chuck, your help is greatly appreciated!